The climb is a long drag of 4 miles plus – averaging only 4%, but with a strong side wind, it was tough going, though some great views partly compensated. 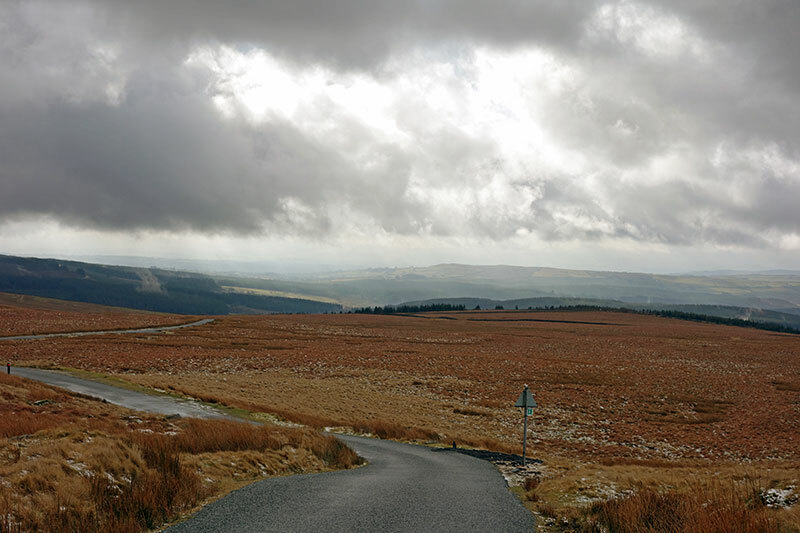 Looking back down the hill, it reminded me somewhat of the bleak open climb of the Stang in North Yorkshire. Though this climb has no 17% gradient to start off with. Top of the climb. 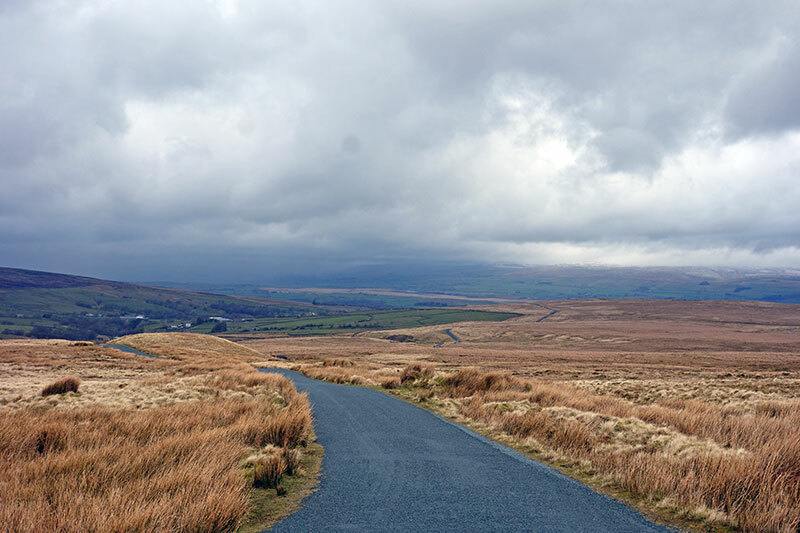 Straight on is towards Slaidburn. In the distance some sun catching the snow on some Yorkshire Dales peaks. After going up the climb I did a u-turn and came back down to get some photos. 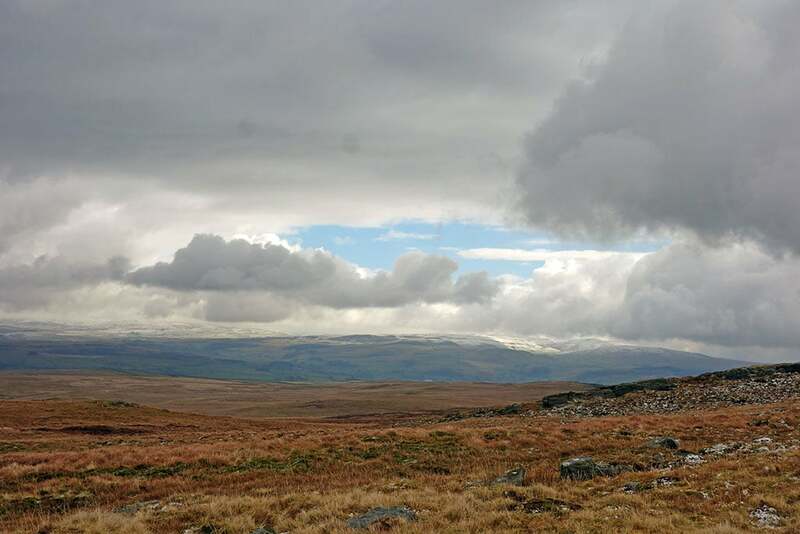 On the long descent it started raining, and there was no shelter to speak off – barely the odd bush let alone a tree. Eventually I plodded on to Giggleswick. I was fed up of the rain and sheltered in a red phone box. 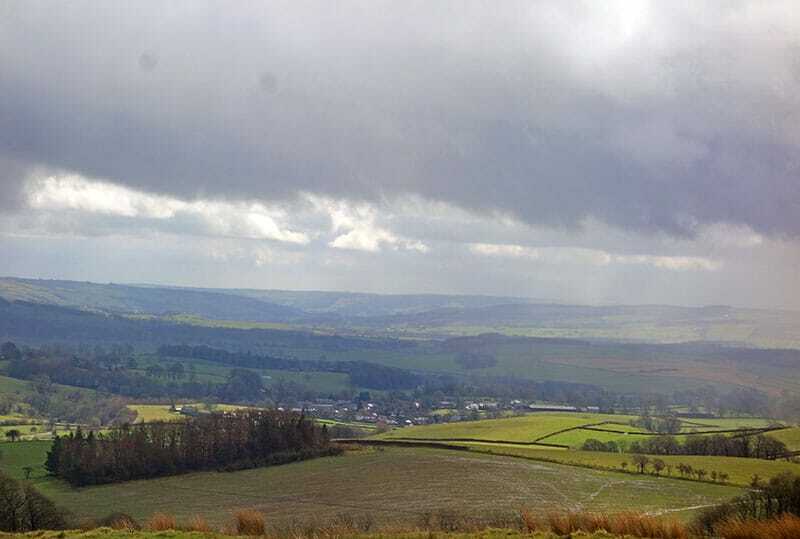 It was no laughing matter getting soaked through in Giggleswick. After a minute standing in a red phone box, I realised this really wasn’t much help. 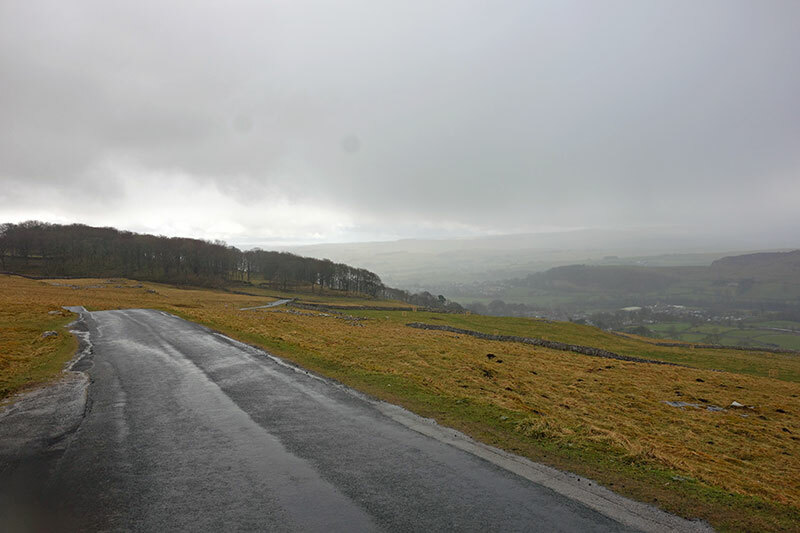 Anyway, the rain eased off so I went over to the climb of Langcliffe Scar. 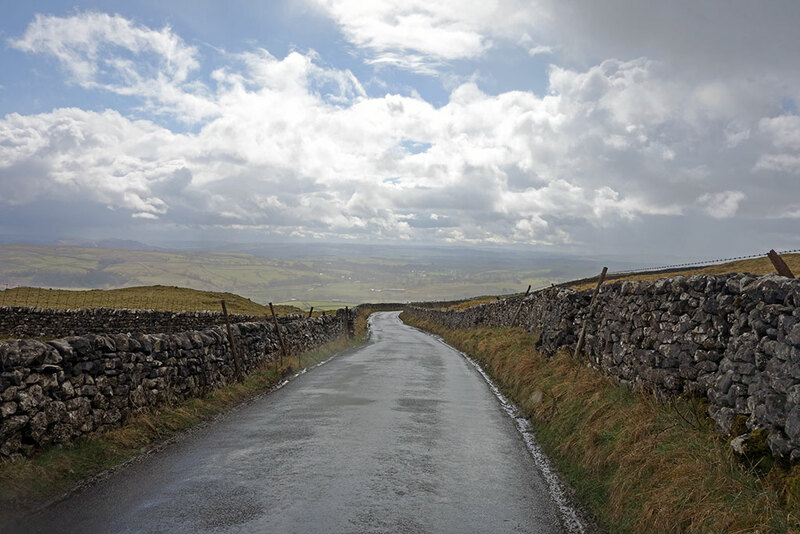 I had plans to go a long way north, but the return of heavy rain, encouraged me to do another u-turn and seek out some shelter in Settle. 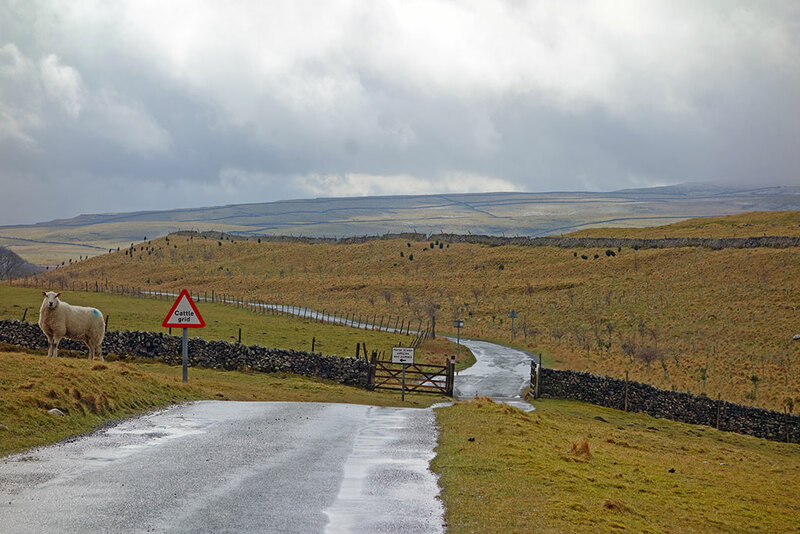 Out of Settle, there is a steep climb High Hill Lane and this takes you towards Malham. 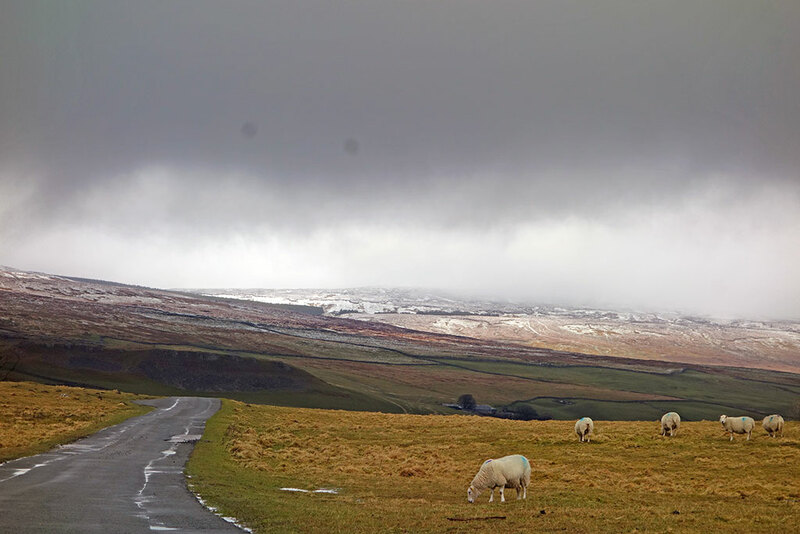 Sun came out east of Settle. Arncliffe Moor. Some snow on moor. A strange day, the train was a good idea. 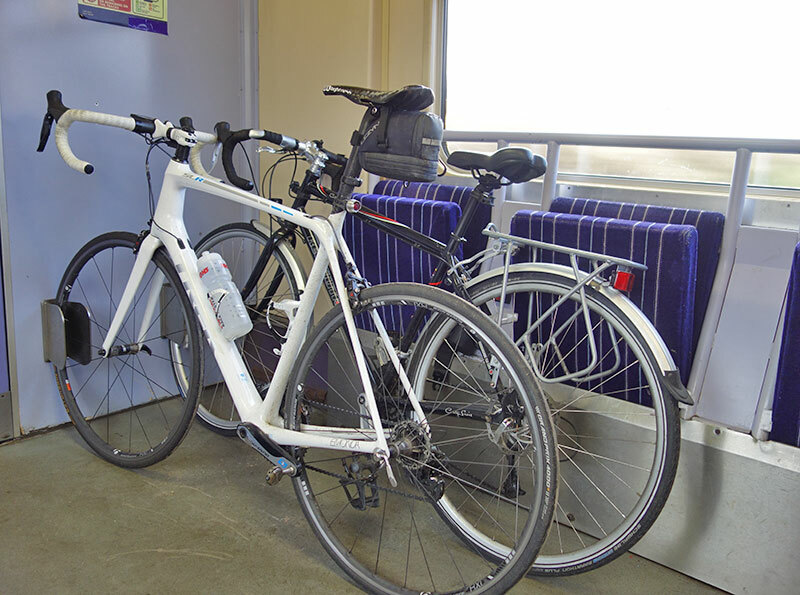 But, despite cheating with a tailwind for most of the ride, it was a very slow average speed, 15.6 mph. Wet and hilly. In the end 65 miles, 2,300m of climbing. Hi! Great blog, it’s nice to see something other than just junk mail drop into my inbox for a change. 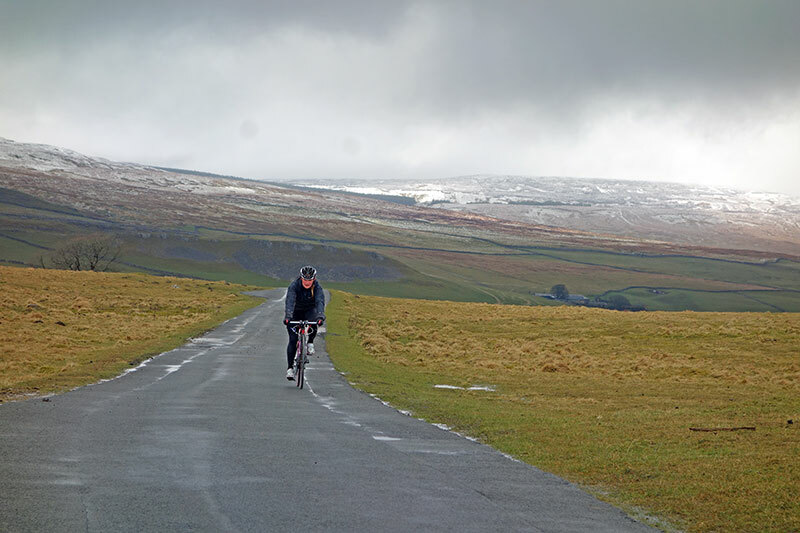 I like the Bowland Knotts climb from the other direction, it’s a much different climb as it’s quite steep and short in comparison to the side you rode. Also it has a nice approach through Gisburn forest and past the reservoir. Personally I alway find the 100 climbs side a bit of slog and dull. Langcliffe scar is also an interesting climb, I have only ridden it to the top once, but attempted twice. The first time was not long after I first got a road bike. 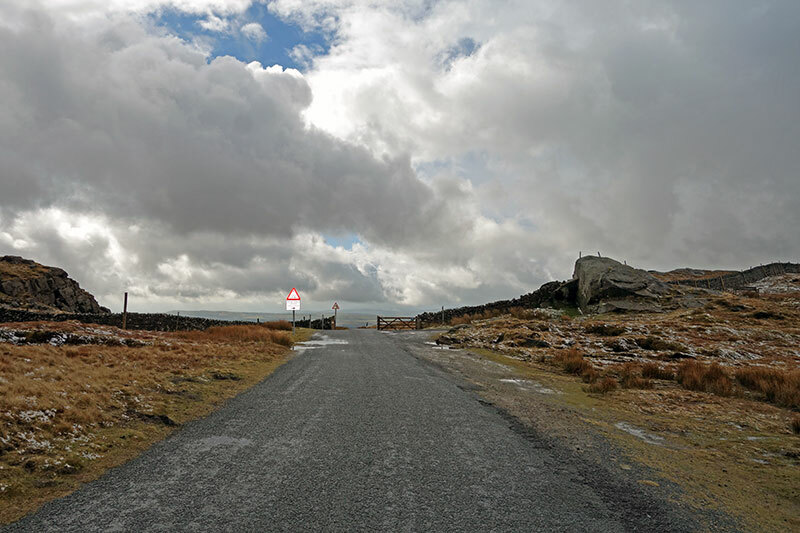 I cycled over from Lancaster and got as far as the second of the steeper hairpins and fell off! This was enough so I gave up and went home. I didn’t know much about gear ratios and was trying to climb it with 39-25! I thought I saw you climbing high hill lane! Driving back down from Malham to Settle I was about to point you out to my partner in the car. She wouldn’t have had a clue who I was on about though (sorry). Some absolutely great roads out there with some killer gradients. Nice write-up, thanks.